The five individuals in this sample came from the Vasilyevka 3 archaeological site in present-day Eastern Ukraine near the village of Vasilyevka. The site consisted of a cemetery with dozens of burials. This individual was carbon-dated to between 11,143 and 10,591 years old, meaning that they lived during the Early Eneolithic not long after the retreat of the glaciers. Also buried at the site were stone tools made of flint, bone weapons, and perforated shells. One of the oldest burials at the site was of a male that had flint points lodged in his ribs and others in his chest area, suggesting that this may have been a warrior that died in battle . Genetic analysis determined that our individual had mixed Western and Eastern hunter-gatherers genes and was strongly connected to hunter-gatherers that lived in Central and Western Europe . They likely represented a continuation of populations that had existed in Ukraine since the Paleolithic. All individuals belonged to the mitochondrial U haplogroup, which was the most common haplogroup among European hunter-gatherers of the Paleolithic and still exists in Europe today although at lower frequencies due to the genetic contribution of incoming European farmers . Of three males in the sample two belonged to the R1 haplogroup, which is a relatively recent lineage thought to have arisen in this region during the early Holocene [12-13]. It is commonly present in Europe today and is thought to have spread with the expansion of Indo-European languages several thousand years after our individuals lived. One male belonging to the I haplogroup, which is a very ancient lineage found in Europe and West Asia, particularly towards caucuses . 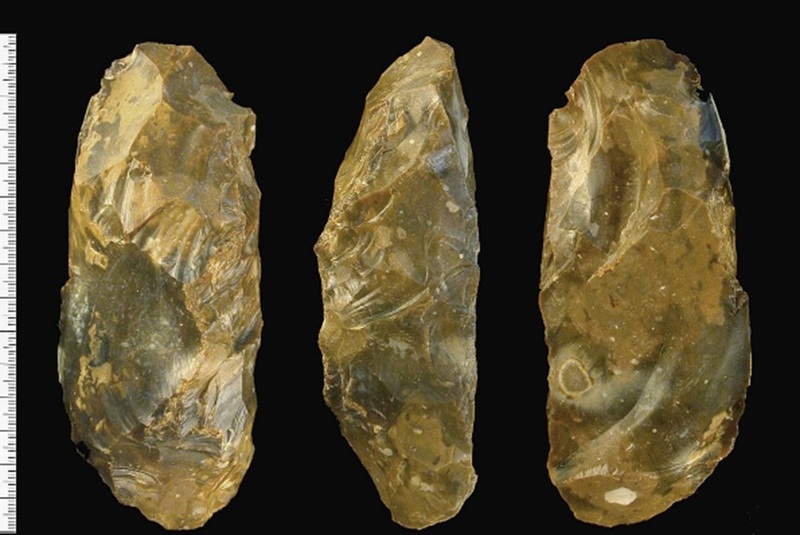 It likely originated in European Paleolithic and can be found among Europeans today. Jones ER, Zarina G, Moiseyev V, Lightfoot E, Nigst PR, Manica A, Pinhasi R, Bradley DG. 2017. The Neolithic Transition in the Baltic Was Not Driven by Admixture with Early European Farmers. Current Biology 27:576-582.